Nice estate piece. Bracelet is 7.75" long. Matching screw-back earrings are. 75" long. Good condition. Due to its high value in jadeite jade gemstones. valuable stone of the jade stone group. Features:This is a very nice antique (Victorian. you'll get as its antiquity value and silver and high jade jadeite. ). Oval shaped, 6.5" around the inside circumference. 5mm wide at the wrist, hinged. The bangle portion is rose gold filled, the centerpiece has not been tested, but I believe it's gold filled also. Not hallmarked. It is comprised of 9 links, with 3 of those links having glass ray inserts. It is marked sterling on the clasp. The clasp works well. The bracelet is in very good condition. No breaks. Simply beautiful. Beautifully Jamaican. Features:This is a very nice antique (Victorian. with one end raised as in a bypass appeal. It will adjust to fit. will test sterling. increase even. and silver value continues to. ). FITS A STANDARD 7 IN WRIST. Beautiful Antique Sterling Silver Bracelet, It has a Turquoise Flower on a Pearl like Stone,Has a Silver Leaf on each side. This is a Classy looking Bracelet. old Lady’s Estate. All are in great shape. Two smaller ones are childs bracelets and GF. Antique Victorian Gold Filled Floral Hinged Ladies Bangle Bracelet 27.7g. Nice bracelet with engraved floral designs. 2-1/4"L opening. Tested gold filled. We ALWAYS will attempt to make things right. FITS A STANDARD 7 IN WRIST MAY NEED POLISHING. 10K White Gold Purple Amethyst Antique Victorian Filigree Bracelet. It is missing one of the stones (see photos).. The inner circumference is 6.5". It is stamped 10K and weighs 6.6g. It measures 5mm wide. It will be shipped safely and securely. Payment is expected within 2 days of purchase, unless prior approval has been received. I am a registered business so Texas residents will be charged sales tax. I offer free returns, so if you are unhappy with your purchase for any reason, you may return it for a full refund (I pay return shipping). This Bracelet has a pretty etched design, and it looks like real gold. This Bracelet opens and closes well and it has the Designer Inside that says ACCO. When you close the bracelet, you have to pull it up a little to get it into the right groove. ANTIQUE VICTORIAN 14K GOLD ORNATE REPOUSSE BRACELET. Antique 14K solid gold Bracelet - Victorian era. Diamond shaped links, 5/8" in width, are ornate with repousse design. Construction is light-- 2 sides soldered together make for a hollow interior. Very finely engraved design. Excellent, estate find. Fits a petite woman's wrist (or a child/teen). See photos for detail. Antique Art Deco STERLING SILVER square clear and black rhinestone hinged BANGLE BRACELET w/ safety. 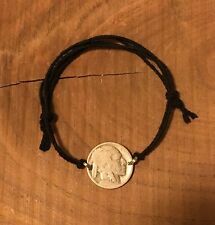 marked sterling on the inside of the bracelet. Silver is tarnished. All rhinestones intact and in good condition. Metal Purity: .925 Sterling Silver Width: 11mm (approx.) 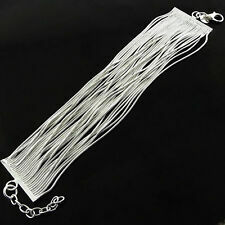 Wearable Length: 5.25" (approx.) Weight: 11.5g . Antique Victorian Gold Filled Floral Hinged Ladies Bangle Bracelet 13.7g. GF bracelet with engraved floral designs. 2-1/4"L opening. Tested gold filled. We ALWAYS will attempt to make things right. Very pretty floral pattern on front and none on back. The middle bracelet in first photo is widest and has the patent #2114930 on inside of clasp. May be combination of gold filled and gold plated brass. Art Deco Diamond Bracelet. Composition: 10k White Gold. DIAMOND AND GEMSTONE WEIGHT. 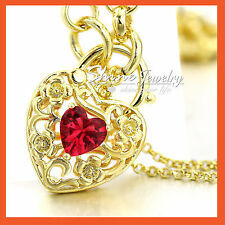 All of our jewelry is professionally clean and polished. Want the item fast?. Gemstone weights may vary /- 0.03 points. BEAUTIFUL VTG ANTIQUE ART NOUVEAU STERLING SILVER & MARCASITE FLOWER BRACELET, FEATURING 13.0g Of SS. smoke free house. PRE OWNED. The items may have some wear appropriate to the vintage age...You are not buying new jewelry. Please view all pictures as I will not be able to offer returns. Thank you for looking ! Please view all pictures and ask questions prior to purchase as I do use my pictures as part of my description. Shipped with USPS First Class Package. Antique Victorian Agate? Stone ( I do not know what kind of stone- I am not an expert in stones.) but it is Signed Sterling on Bracelet measures just shy of 7" could have had a replacement spring ring clasp at some time bracelet is sold as found. In good condition for age no cracks or chips in stones metal has darkened with age. Please ask any questions before purchase, No Returns, prompt payment, see photos for sizing and condition. Box not included. Thanks for looking. Shipped with USPS First Class Package. For sale we have a rare sterling silver and essex crystal bracelet with depictions of different dogs! Take a look at the pictures for the best idea. The schnauzer dog is in great shape. The backs of the crystal looks like mother of pearl. ORNATE FLORAL REPOUSSE BRASS LINK BRACELET. 24x17mm OVAL FACETED CITRINE GLASS. MY WRIST IS 6" AND IT FITS PERFECTLY. LINKS AND ONE WAS REMOVED FOR A TINY LADY. PRONG SET BRASS BEZEL. WIDE PUSH BOX CLASP. ANTIQUE BRACELET GOLD TONE SPUN 5 GREEN STONE CABS PUSH PIN CLASP 7 1/4" X 3/8"
Has a sailboat looking hallmark from what I found it is probably french but may not be as I am not an expert in antique sterling. Nice weight to it. Beautiful stones. Every other link is missing a stone. We will never intentionally misrepresent an item. Richard Ullman. OXFORD JEWEL Adorn and Connect with History. Material 830 silver, natural Citrine. With this sparkling, natural citrine bracelet in hand, it’s not difficult to imagine why the sunny-colored stone has long been associated with good health, cheer, and vitality. Antique Victorian art glas green, red and blue copper stripes art rhinestone link bracelet. Rare, one of the kind. The bracelet has a twisted design and is marked 417 Italy on the interior. It has a total weight of 4.6 grams and is in great condition but there is a sign dent along the length. This bracelet has a really pretty top, with a raised or layered decoration that is accented with small pearls! The bracelet size is adjustable. No identifying marks that I can find. Bracelet is in great Antique Vintage condition with pin clasp. Please see pictures for best description. Not marked but test for sterling. Antique Vintage Gold Filled Childs Bracelet With Small Diamond! !